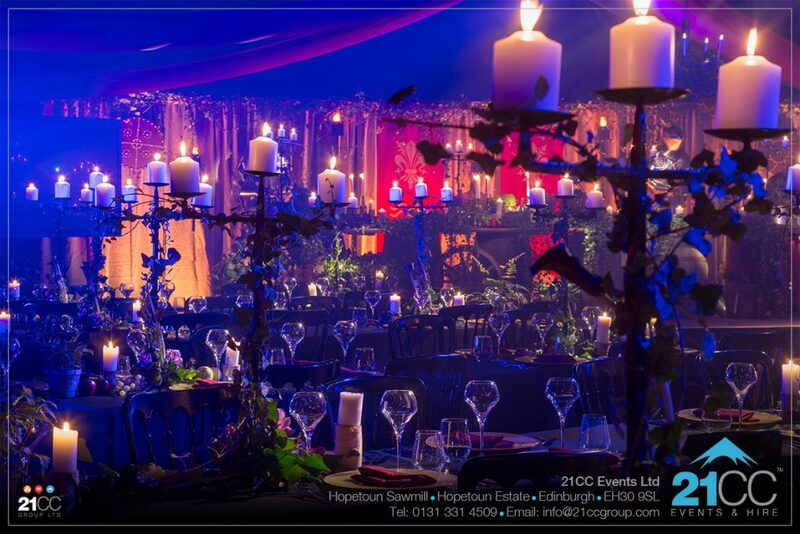 Our wonderfully creative team here at 21CC Events were approached by an international client to produce a memorable and exciting Game of Thrones themed banquet for the final evening of their conference. 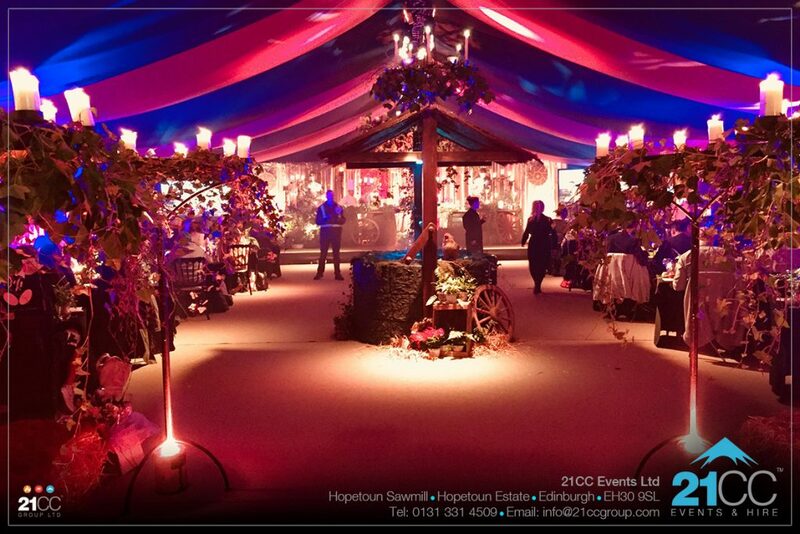 The event was take place in a marquee. Starting with a blank canvas, our team put together the detailed design on how the space would look. From colours and fabrics, to layout, design and lighting. Once the design and illustration drawings were all signed off, our technical team got to work. We were re-creating the Red Wedding scene from the Game of Thrones. The space was designed using software to show the layout and set up. The tables were positioned in a classic herring bone fashion, all dressed with flowers and candles. The layout of the room was precise. 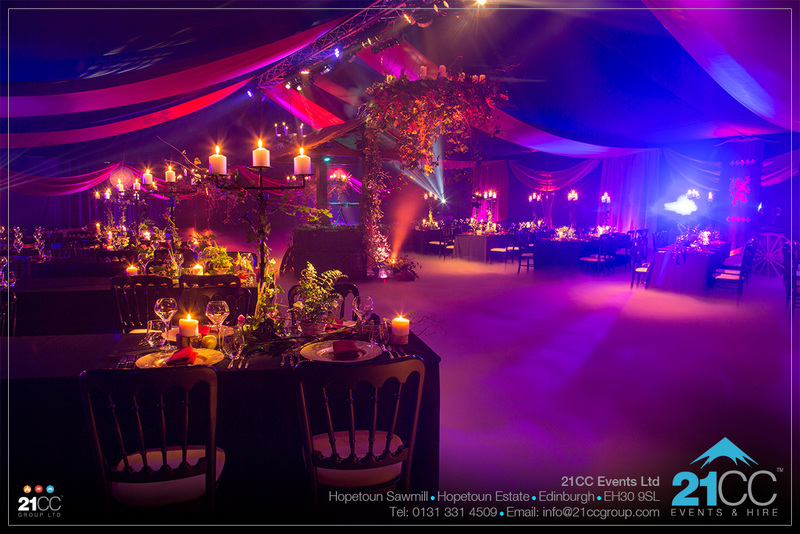 All aspects of the setting were set out using a measuring tape, so the tables were exactly in line, all candelabras were perfectly aligned, the props were all positioned right – it was stunning! 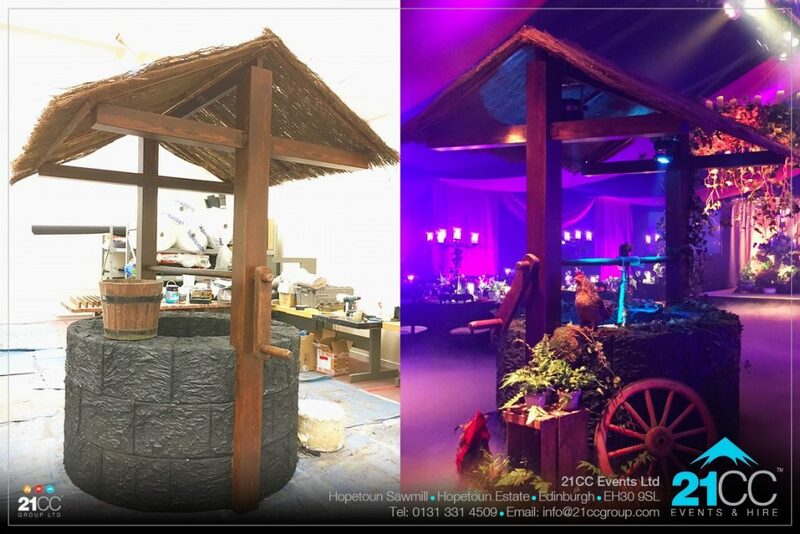 As part of the room setting, we had a bespoke, purpose built wishing well – made for the job. The well was the central focal point of the space. It was the first thing the guests would see as they walked in. It was covered in beautiful medieval-like foliage. The bucket even went up and down using the handle and the bottom was lined with a glass mirror to show reflections as guests looked into the well. The head banqueting table was made from specially made wooden planks, which were also custom made for the job. 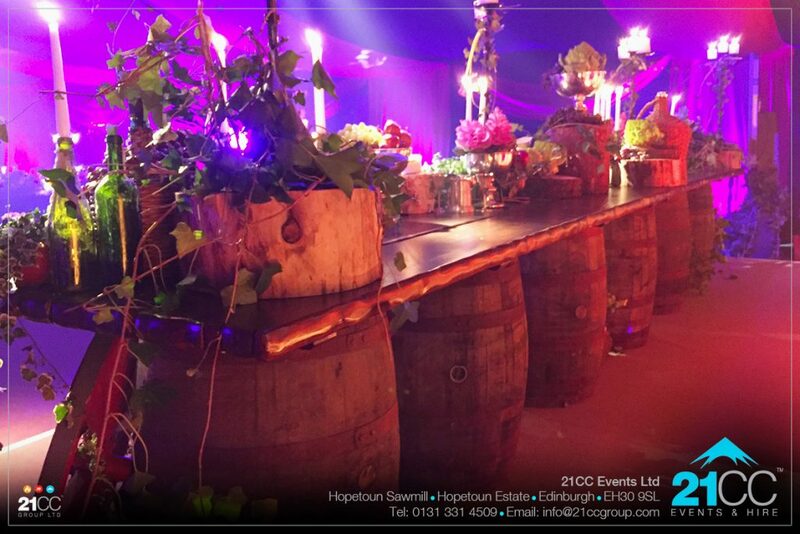 The table was set on whisky barrels and dressed to overflowing with food and props of various types. As part of the dinner service, guests were asked to come up to the top table to get the meat for their main, which was being carved by chefs. This was a lovely and authentic touch. 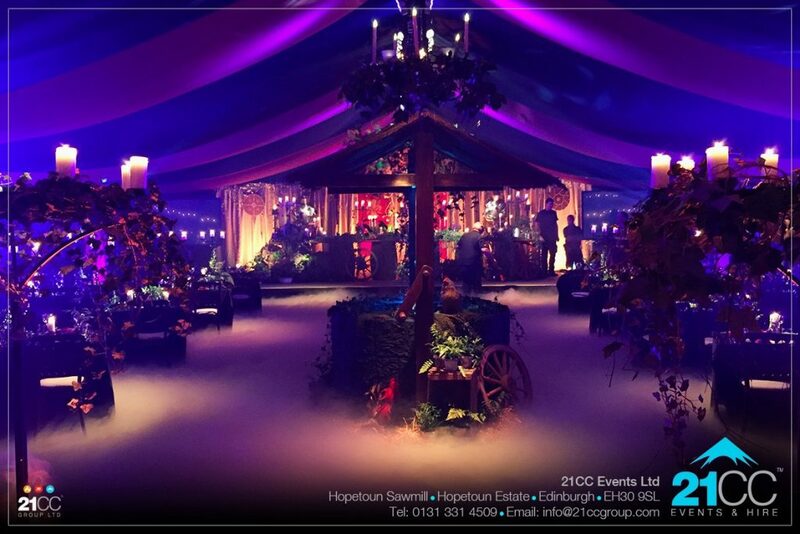 The Game of Thrones atmosphere was enhanced more by the special lighting design by the 21CC Events technical team. There were moving lights, static lights and special effect lighting, which made the room feel warm, authentic and special. To finish the room off and as the guests arrived, we filled the room with a gentle flowing low creeping fog, which added to the medieval setting and sense of mystery as the Game of Thrones music played. To help transport the guests back to medieval times, the room was dressed with knights armour, candelabras, bushes, hay bales and wine casks. 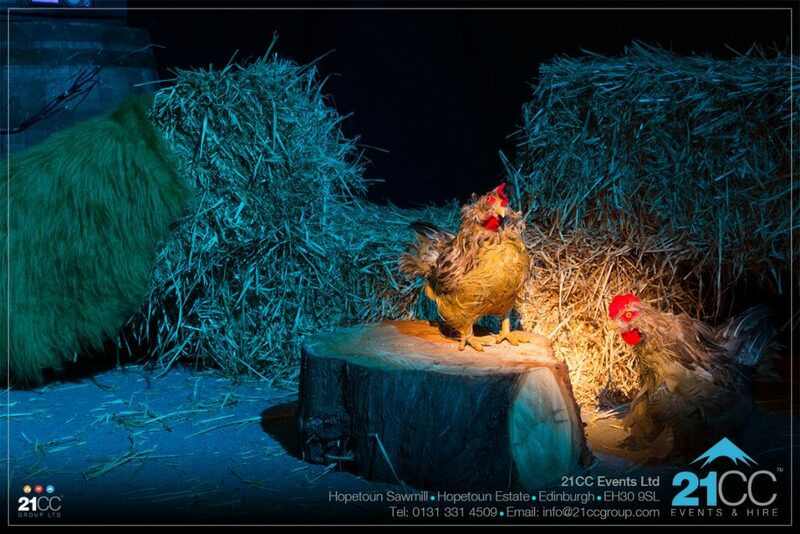 We even had small village setting and some very realistic chickens! Are you having a medieval themed dinner, or a looking for a Harry Potter themed event? 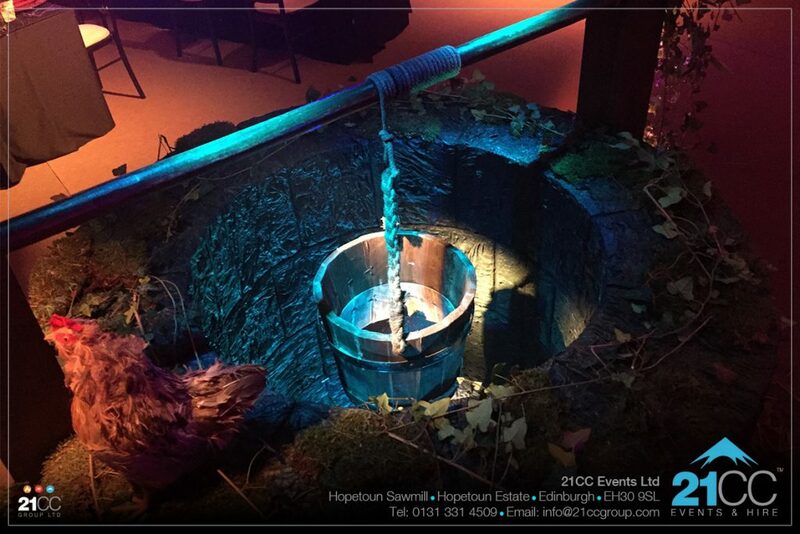 Or would you like to hire our medieval well or banquet table? 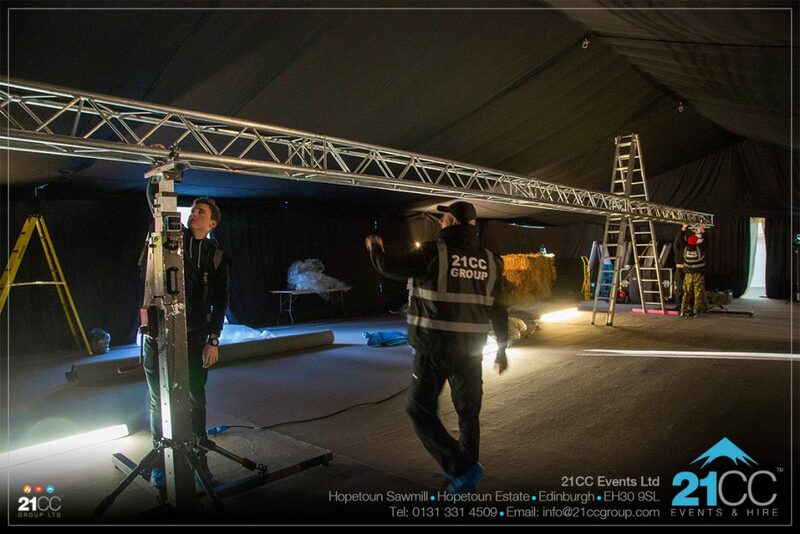 Then our creative design and technical team here at 21CC Events Ltd can help! 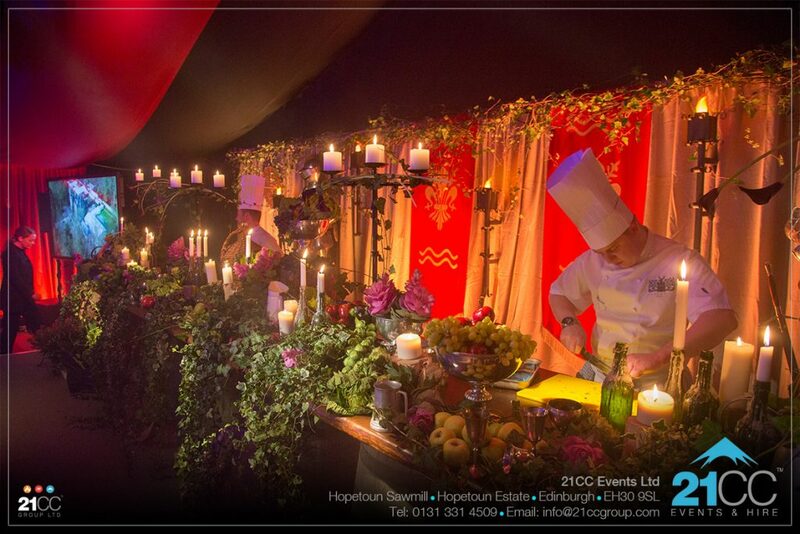 Get in touch, email or call us on 0131 331 4509 and see what the 21CC Events team can do for your Game of Thrones event.